Quick and reliable removal services can be hard to come by especially if you don’t want to get charged over the top prices. However, we have decided to change the face of the removal industry by developing an outstanding range of deals that offer excellent value for money. Flexible, trustworthy and affordable, our house moving services stand out from the crowd. So, if you want to say goodbye to slow and careless removal firms call us on 020 8746 4402 today. Moving Service is a professional, local removal company that is dedicated to providing you with an exceptional service in Wapping. To see for yourself, call our customer services team for some advice today. We know that you’ll be amazed by what we have to offer! Is There Much To See In The Local Area? Wapping has a riverside location in the east of London and is part of the Borough of Tower Hamlets. Close to major commercial areas, it is a popular place with city professionals and commuters. House prices here tend to be above the London average and include a wide range of exclusive apartments and luxury developments. Despite this, the area has retained some of its original character and has a number of historic cobbled streets with a maritime atmosphere. An over-ground train station provides links to Shoreditch, Islington and Hampstead amongst others, while quick links to Canary Wharf can also be found in the area. A number of high-end shops, restaurants and bars provide plenty of entertainment and make this a desirable area in a popular part of the city. Are We Better Than Our Rivals? Unlike some other firms in E1W region, we want to put your needs first and this means really listening to you and what you care most about during your move. By doing this, we have been able to hone our removal services providing you with a better experience than any of our rivals. With an exceptional attention to detail and an approachable house moving team, we can make sure that you get everything that you need. 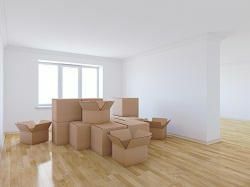 So, if you want to make sure that your furniture, books, kitchenware and furnishings are really looked after, book your relocation with our removal company. Our friendly movers have been trained to put you first, making sure that you have everything you need to make moving stress-free. Whether this is quality packing materials or a great moving plan, we can make sure that you never get stressed out. So, if you want to hire a professional team, contact us on 020 8746 4402. Our team will do all of the hard work for you while you concentrate on the rest of your to-do list. Remember that with us on board your relocation to E1W district can be super-quick! We can save you heaps of money on your house move by providing you with exceptional prices all year round. With no surprise costs or hidden surcharges, the price that you’re quoted is the price that you’ll pay. So, if you don’t want to mess around with cowboy movers, call Moving Service on 020 8746 4402 for a free and no obligations quote now. We can offer you the lowest price for your relocation to Wapping, E1W. For more information all you need to do is fill in our online enquiry form: one of our customer service advisors will get back to you ASAP.